Ongoing improvements to Aylesbury’s Alfred Rose Memorial Park are making it an increasingly pleasant place for recreation, play, exercise and relaxation. 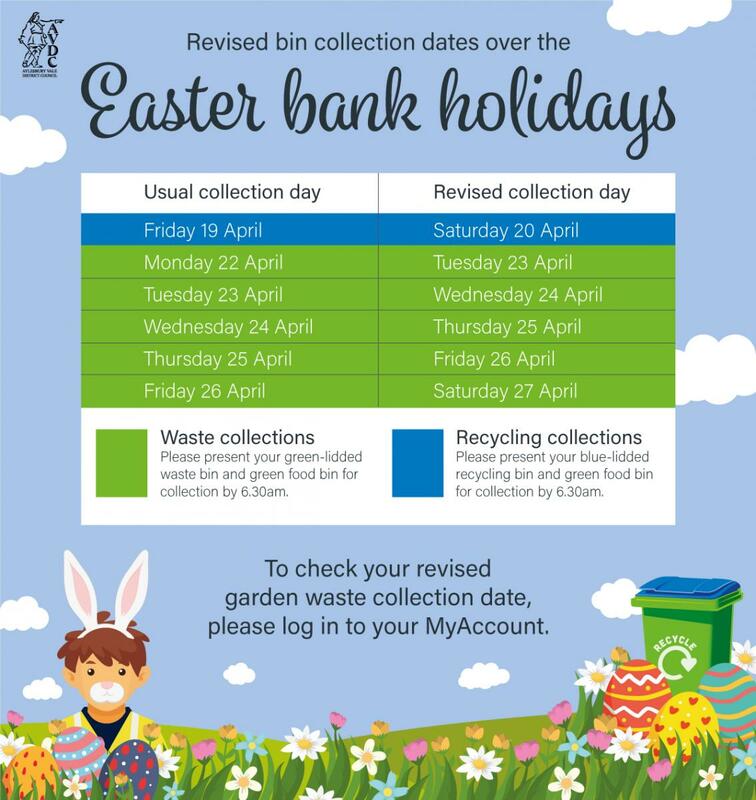 Aylesbury Vale District Council’s (AVDC) Recycling and Waste collection service will be operating to revised collection schedules over the Easter bank holidays. Aylesbury Market will open as usual over the Easter period, enabling visitors to the town centre to enjoy a wide range of arts and crafts, food, and general stalls. There’s an unmissable, giant new visitor coming to Aylesbury as part of the fantastic celebrations for this year’s WhizzFizzFest, the town's much-loved children’s literary and arts festival on Sat 22 June, and your help is needed to name the giant. The Rising Stars Preschool will be opening on Wednesday 24 April at the Alfred Rose Community Centre in Elmhurst, Aylesbury. A plan has been hatched to turn Market Square in Aylesbury into an egg-cellent mobile farm on Thursday 11 April between 11am – 3pm during the Easter holidays. Aylesbury Vale District Council (AVDC) has successfully secured a Rough Sleeping Initiative grant of £208,867 from central government to provide immediate support for rough sleepers in Aylesbury Vale. The independent Planning Inspector has agreed AVDC’s proposal to reduce by 1400 the number of new homes to be built up to 2033 in the Vale of Aylesbury Local Plan (VALP).